Since 1994 RxTrials has completed thousands of studies, routinely exceeding enrollment targets with a 96% retention rate. 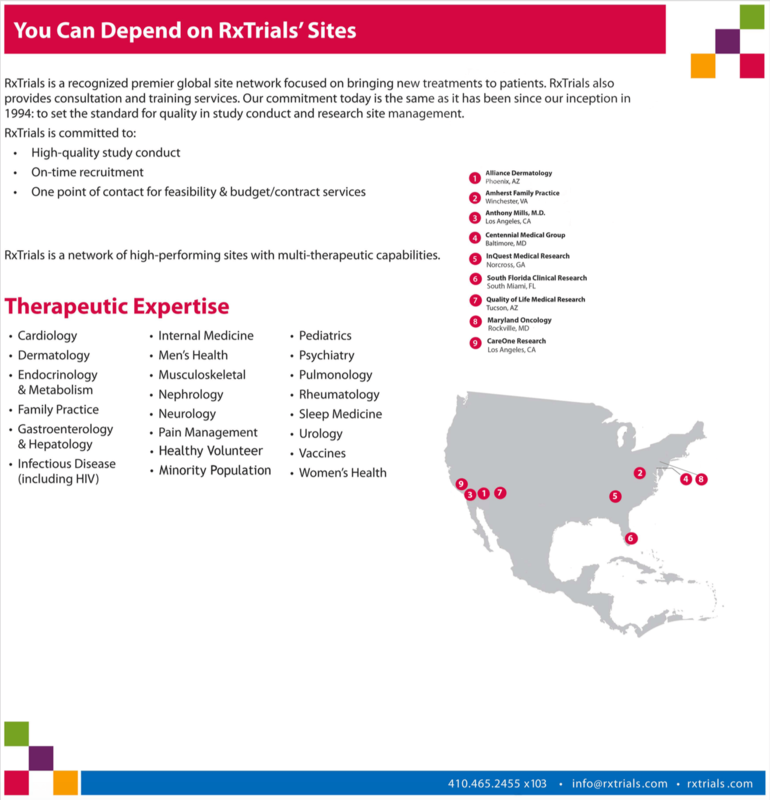 RxTrials, the recognized research site experts with over 25 years of industry experience, ensures that our quality site network will give you the confidence you deserve to have in your study delivery. Rx Trials is known for its three pillars of performance, predictability, quality, and delivery. Since 1994, Sponsors and CROs have consistently achieved their study goals with the Rx Trials Site Network. 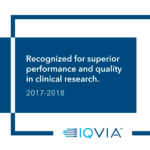 With our eleven therapeutically diverse sites, located across the United States, we will deliver your next study on time and above sponsor enrollment goals.